If you could shrink as small as a pint-sized pipistrelle bat or see eye-to-eye with a housefly, you’d meet some very strange and wonderful creatures. 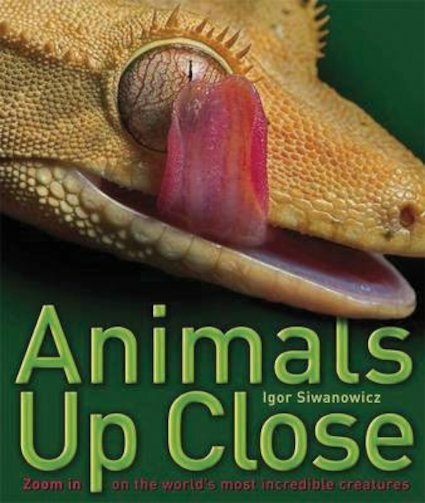 Now, thanks to nature photographer Igor Siwanowicz’s incredible photos, you can do just that! In astonishing close-up images which dazzle with miniature details, you can see you can see exactly how tiny creatures hunt, feed, move and survive. Buzz round with familiar bugs like flies and beetles, or soar, skitter and crawl with exotic birds, snakes, frogs and mice. Marvel at nature’s odd and amazing creations! Zoom up close to learn their weird ways!